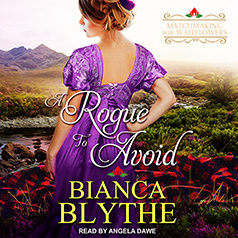 Bianca Blythe presents the second book in the Matchmaking for Wallflowers series. Contains mature themes. Gerard Highgate, Marquess of Rockport, is not the type to attend balls. But when he is chased into a home in Harrogate, he decides he must blend in—even if that means dancing with Lady Cordelia.